Wisconsin Probate Process Attorneys - Crooks, Low & Connell, S. C.
How Does the Probate Process Work in Wisconsin? If you have recently lost a loved one in Wisconsin, there is a good chance that at least some portion of his or her estate will need to be distributed through the process known as “probate.” While the probate process is foreign to most people and can be somewhat cumbersome, there are often simplified options available, and seeking experienced help can make the process as efficient and painless as possible. Probate is the legal process of distributing a person’s estate and winding up his or her final affairs after death. 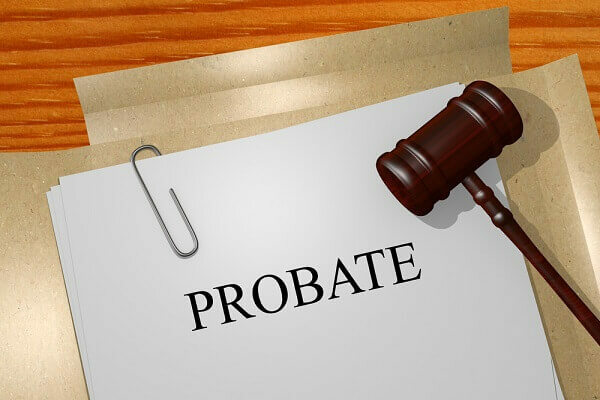 Probate is administered through the court system; although, as discussed below, there are some forms of probate that require only limited interaction with the Wisconsin courts. While trusts and other estate planning tools can keep assets out of probate, in a typical scenario there will be at least a portion of the deceased’s estate that is required to go through the probate process. You can learn more about the people involved in probate and the steps involved in the probate process in: Do You Understand Probate Laws in WI? Formal Probate – Formal probate has the greatest amount of court involvement, and is commonly used when there are disagreements regarding how a decedent’s estate should be administered or who should oversee the process (as the decedent’s “personal representative”). A judge oversees the entire process; and, when disputes arise, the judge issues rulings based upon the arguments presented. Informal Probate – Unlike formal probate, informal probate does not involve direct judicial oversight. Instead, the personal representative administers the decedent’s estate independently (though typically with an attorney’s guidance). There are certain requirements in order to be eligible for independent administration, though in most cases these are easily satisfied. Transfer By Affidavit – Transfer by affidavit can be used to distribute a decedent’s probate assets to an heir, trustee, or guardian if the total value of the assets does not exceed $50,000. Transfer by affidavit avoids many of the burdens of traditional probate administration, though there are certain unique requirements involved in this process, as well. Ancillary Administration – Ancillary administration is used when a decedent’s estate is subject to probate outside of Wisconsin, but he or she has assets located in the state that are subject to probate. Ancillary administration requires court approval, and once again there are a number of unique steps involved. Summary Assignment – Summary assignment is an alternative that can be used under certain circumstances to administer estates of less than $50,000. Unlike traditional probate, summary assignment does not involve appointment of a personal representative, although small estates can still be closed through summary assignment with or without a will. Summary Settlement – Summary settlement is another option that can be used to administer small estates (less than $50,000), and it is an even more-simplified version of probate than summary assignment. Summary settlement can be used if the value of the decedent’s estate is less than the sum of all eligible claims against the estate, or if the decedent has a surviving spouse, domestic partner, or minor child. Speak with a WI Probate Lawyer at Crooks, Low & Connell, S.C. If you are preparing to go through probate in Wisconsin and would like to learn more about what to expect along the way, contact Crooks, Low & Connell, S.C. for an initial consultation. To speak with one of our experienced probate lawyers in confidence, please call (715) 842-2291 or request an appointment online today.